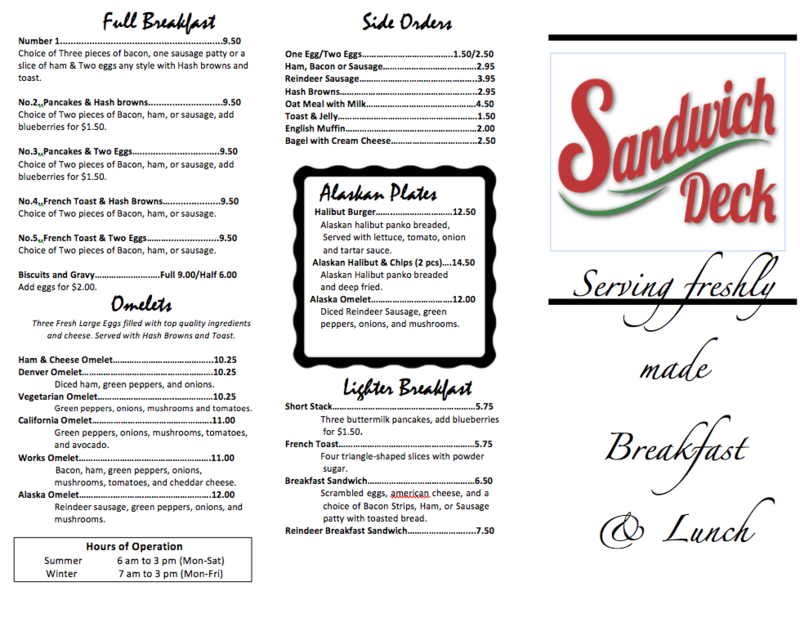 Breakfasts are cook to order and the menu also includes biscuits and gravy with an extra punch to get that spicy sausage and pepper combo. 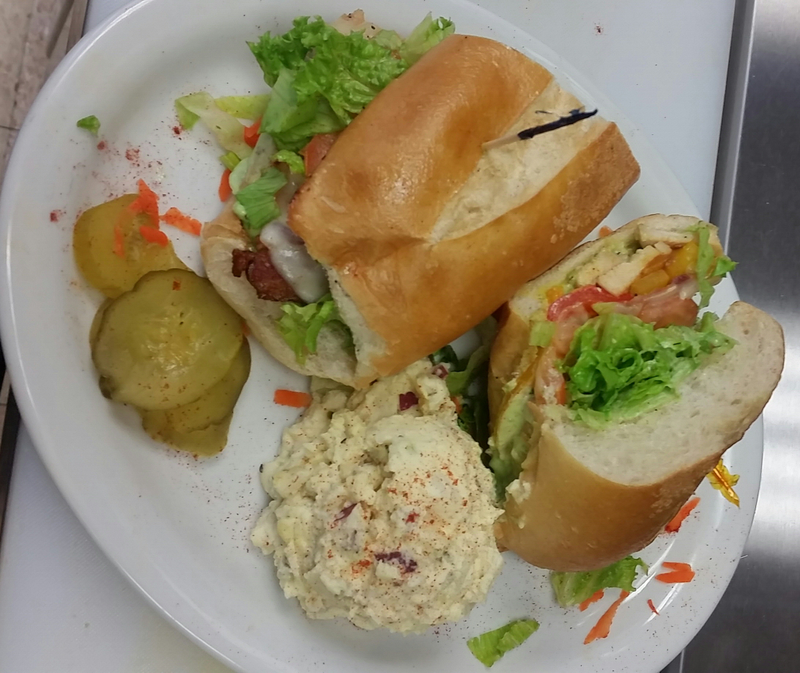 Delicious soups, salads and sandwiches. Try the Alaskan Plates featuring Halibut, Salmon, and Reindeer Sausage. 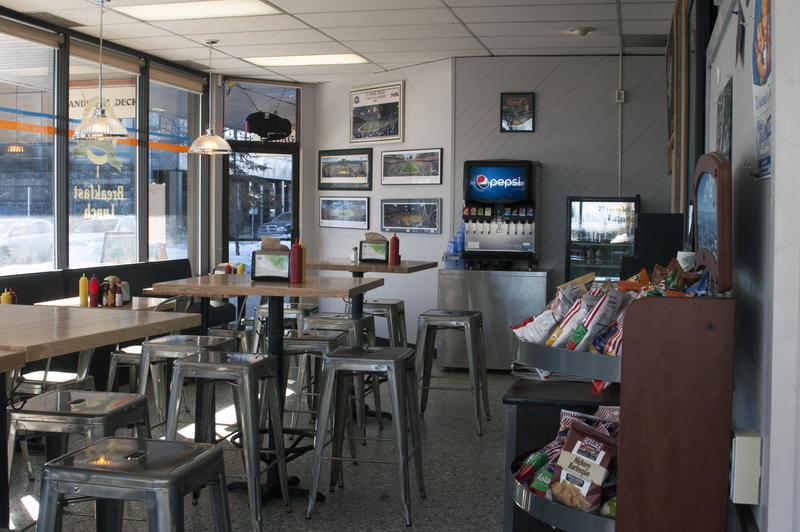 The restaurant is newly remodeled (2017) and has a sleek black and white décor with comfortable booths and chair seating. 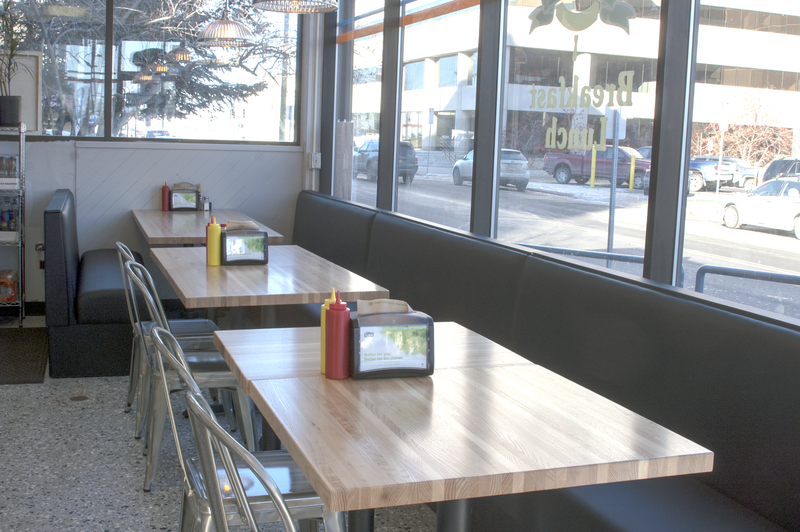 We’ve also added a few high top tables. The great location at 4th and K Streets is centrally located downtown close to parking, shopping and hotels. The restaurant has full length windows facing both K and 4th Avenue giving a bright and cheery atmosphere to enjoy your meal. Whatever you order you can be sure that the freshest ingredients have been used and the meals have been prepared just for you. 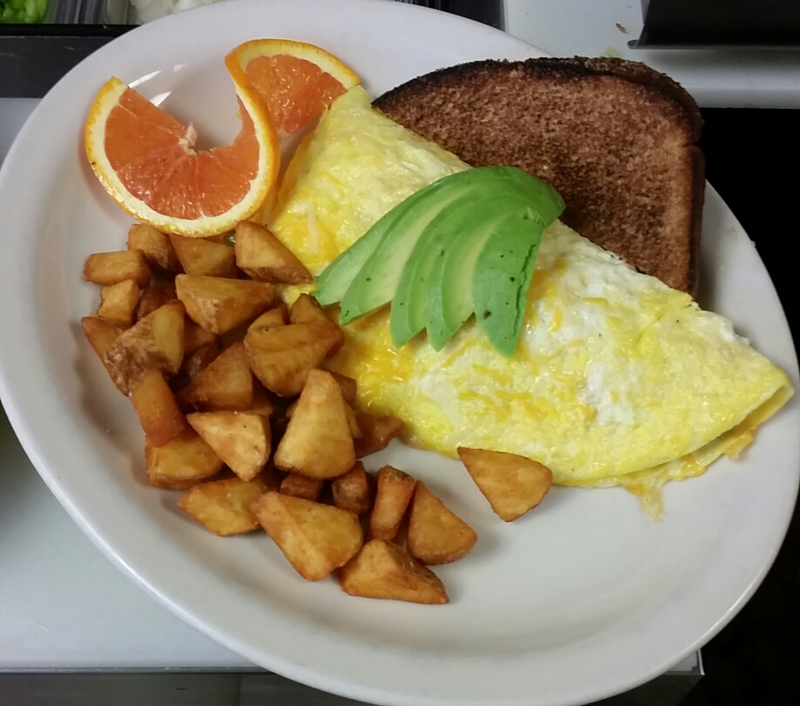 Come and join us for breakfast or lunch. In the Winter our hours are 7 am – 3pm Monday through Friday. Beginning in the middle of May we are open for the Summer seven days a week 6 am – 3 pm.